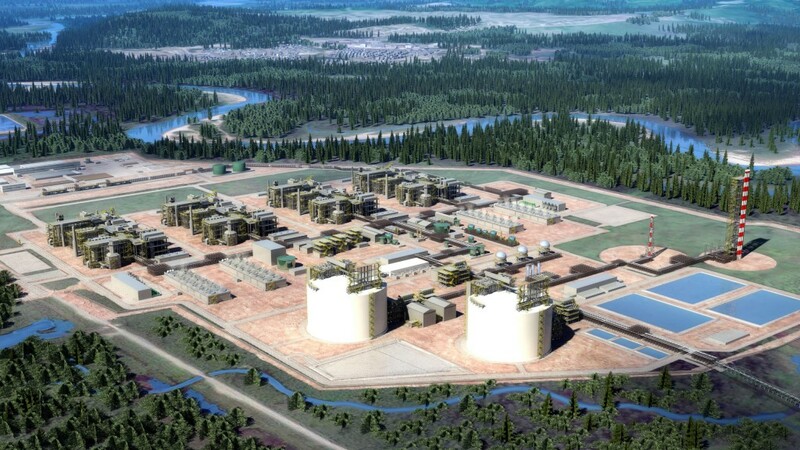 Projects like LNG Canada are a turning point for Canada, a new report states. However, while this sector fills such an important role in Canada's economy, it too has suffered, with major energy infrastructure projects like the Trans Mountain pipeline on life support and projects like Energy East dead in the water. It is for this reason that two major liquified natural gas (LNG) projects in British Columbia have such promise for Canada. A new paper by MLI Munk Senior Fellow Philip Cross, titled BC's LNG Projects: A Turning Point for Canada's Energy Industry, makes the case that these two projects will hold considerable benefits. "Canada definitely needs a mega project to succeed to show investors that it is capable of building major resource projects," writes Cross. "This makes the LNG projects important for several reasons including (but hardly limited to) Canada's image at home and abroad." Cross divides the economic benefits of the LNG projects into three major categories: "building the pipelines and terminals; increasing BC's natural gas production; and raising the price received for natural gas exports." In each case, the benefits would directly improve the economy. However, the benefits of major resource projects - and indeed the energy industry at large - go much deeper than simply the economic boon. Cross points to how the strength of Canada's resource and energy sectors have helped prevent the sort of populist upheavals that have plagued other political systems. "The middle class in Canada fared relatively well in recent years partly due to steady growth in sectors such as natural resources and construction... If Canada had faced the same financial and economic crisis as the US, we might have experienced similar political turmoil." "But we did not, and Canada can partly thank its resource sector for that." Ultimately, the ability to develop our energy and natural resource sectors is crucial for protecting the Canadian middle class and supporting Canada's working class. "At a time when policymakers are concerned about the ‘future of work,' the potential for technology-induced dislocation, and the uncertain prospects for the middle class," explains Cross, "Canada's natural resource sector can and should serve as a ballast for working-class Canadians as well as a source of new opportunities for Canada's Indigenous peoples."